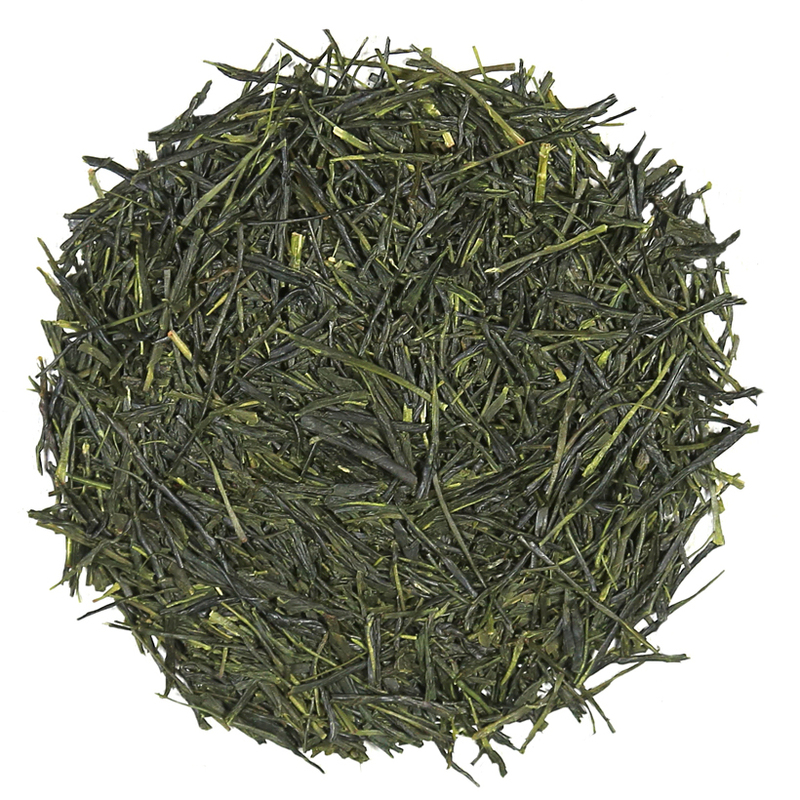 Sencha Fukumidori is made from fresh leaf that is plucked in the early spring. In fact, this tea is from the ichibancha harvest, meaning tea that is made from the 1st plucking of sencha in the spring. Most sencha is made from a blend of aracha: ‘half-made tea’. The goal of a sencha blender is to taste and find the appropriate blend of several arachas that, when blended together, will yield a naturally sweet cup of tea with just a touch of underlying bitterness. Some tea companies cultivate their own tea and create their own tea blends from their own aracha. Other companies pride themselves on their skill in blending and refining arachas from different tea growers and turning this half-made tea into a distinctive and delicious, branded product. This Sencha Fukumidori is from the Fukumidori tea bush cultivar and is a blend of Fukumidori aracha from several tea gardens. It is extremely satisfying and delicious. The aroma of the tea is underscored by a subtle ‘roasted’ fragrance that is imparted to the leaves during the manufacturing process. This tea is medium-fine cut, so our recommendation for best steeping is a teapot with a fine mesh screen or a fine clay strainer that has been built into the nose of the teapot’s spout. Depending on the construction of your teapot, a secondary fine straining with a hand-held strainer may be necessary if you want to catch all the fine particles in the dry leaf.